KAMPALA – A total of 258 coordinators of crime preventers have begun training at the National Leadership Institute Kyankwanzi as part of efforts to fast-track the group’s mutation to a reserve force which will form the basis of President Museveni’s new 24,000-force of LDUs to man security in Kampala and Wakiso districts. Multiple sources within security told this website on Tuesday evening that the group, which comprises district and regional crime preventers’ coordinators, was summoned at the weekend and on Monday began their training under the directorship of the UPDF. “These coordinators are being trained so that they can help UPDF to choose the best and disciplined crime preventers who will be incorporated into a fully-fledged reserve force,” a source in the army, who preferred anonymity, said. When contacted, army and Defence spokesperson Brig Richard Karemire confirmed the news, saying that the group will undergo training for one month. “You should actually call them former crime preventers because they are part of Reserve force of UPDF. We have started with coordinators who will go through one-month training,” Brig Karemire said in an interview. “These are the coordinators and they are part of the mobilization towards knowing who they are, we want to have them fully documented and properly categorized before we have them as a reserve force,” he added. The army spokesman, however, refused to confirm whether the group will form part of the LDUs to be deployed in Kampala. 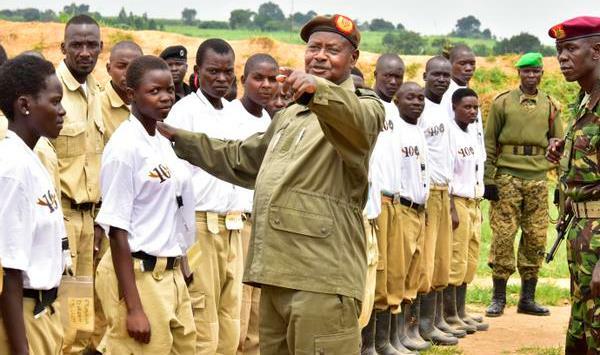 In an address on the state of security last week, Mr Museveni said a 24,000 strong force of Local Defence Unit (LDU) personnel and “crime preventers” will be deployed in the 1,000 or so villages that make up Kampala and Wakiso districts to end the killings and provide security to citizens. However, Opposition party Forum for Democratic Change (FDC) dismissed the proposals, saying Mr Museveni needs to put his house in order before he starts talking about deploying LDUs. “There is nothing that military and police have failed to do that the LDUs can fix. He should examine his intelligence, army and police force and there should be a discussion with key players on the security of this country,” Mr Patrick Amuriat, the FDC president, said.